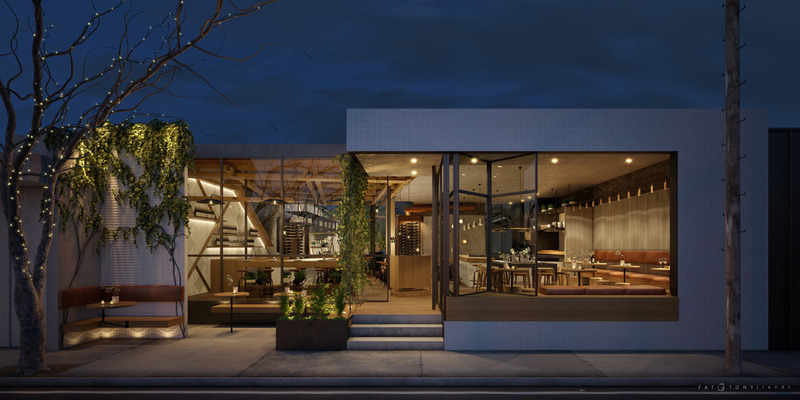 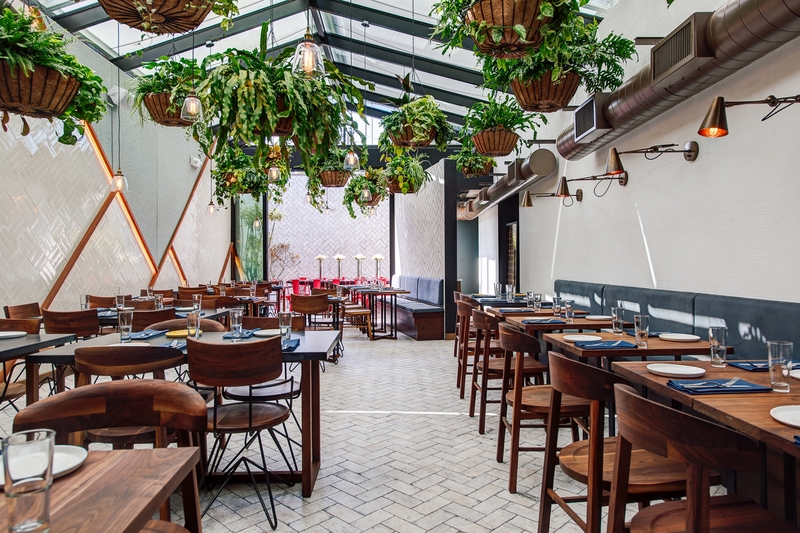 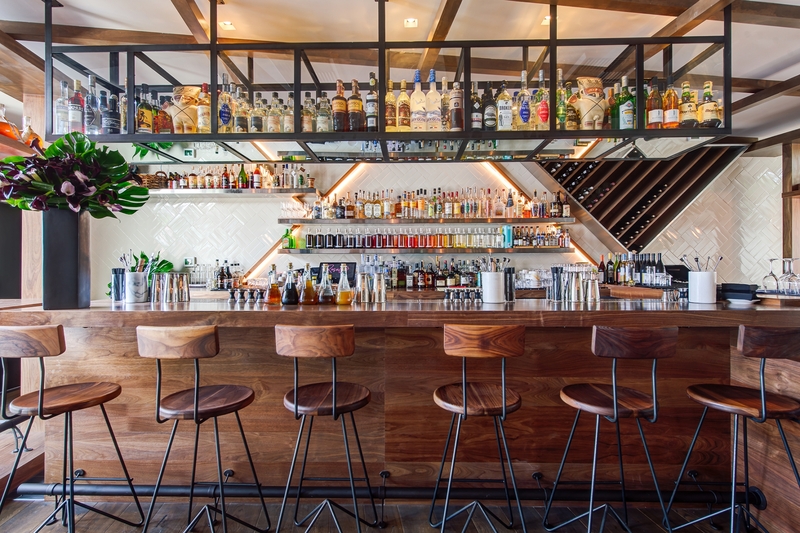 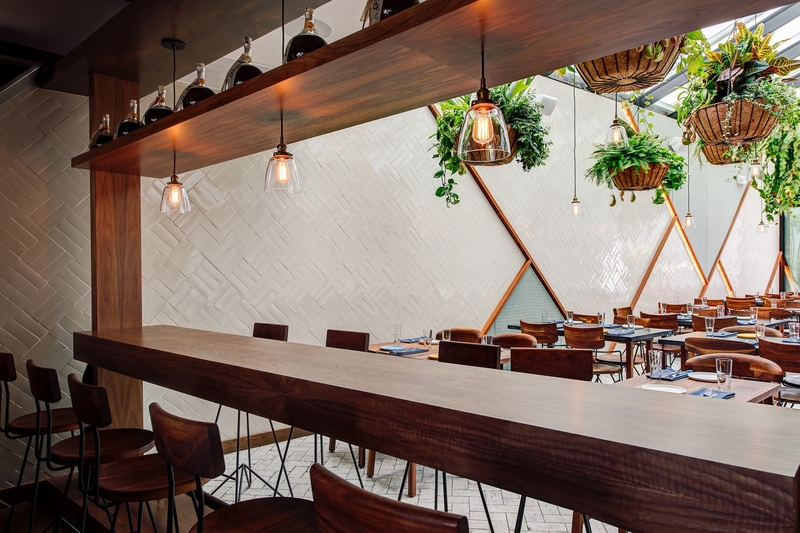 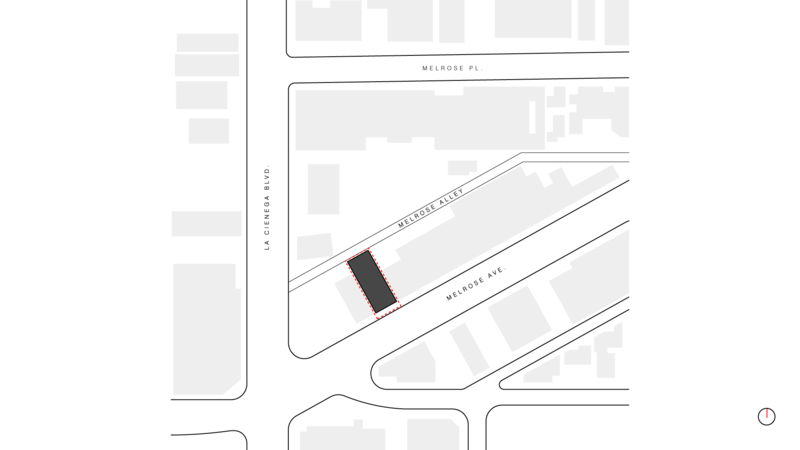 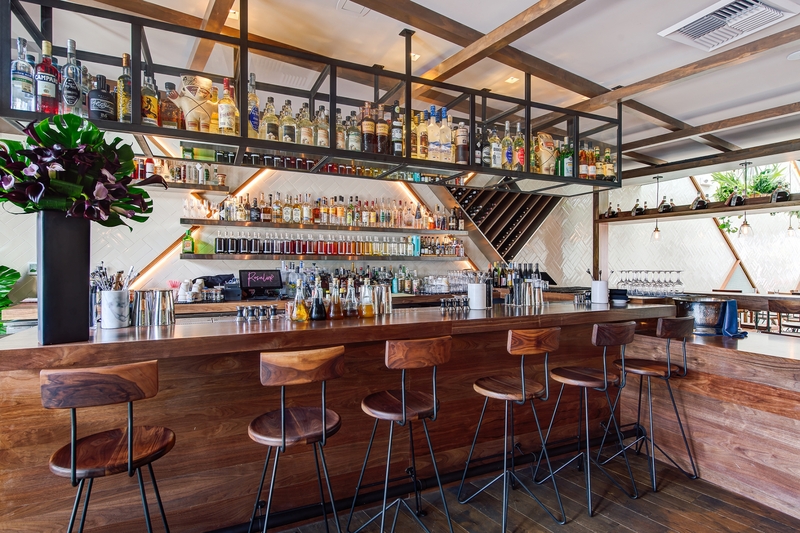 Offering a twist on LA’s famous indoor-outdoor dining tradition, Rosaliné is a Peruvian restaurant rich with natural light that pulls guests through the dining hall and bar to the greenhouse back dining area, complete with open ceiling. 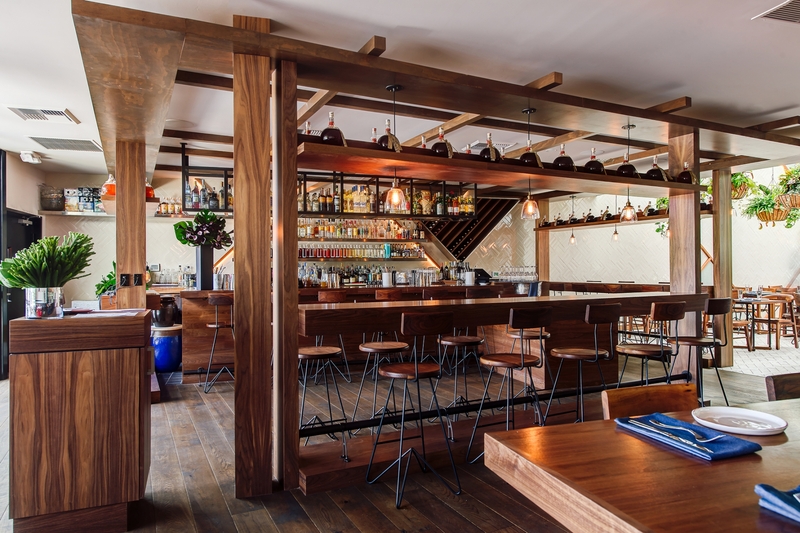 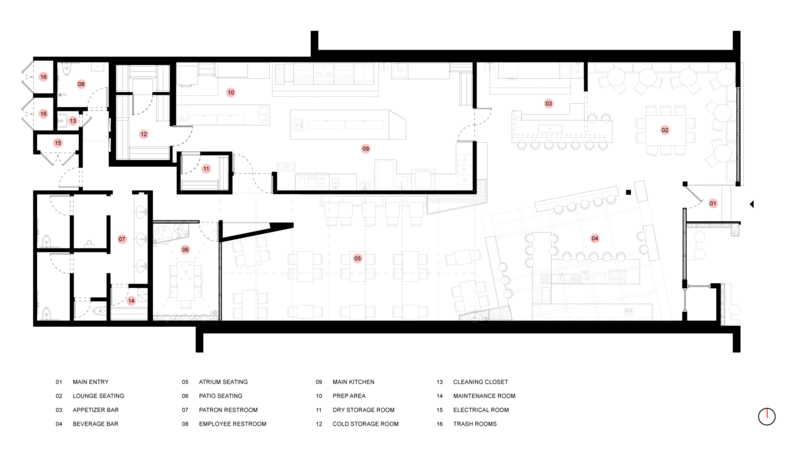 The indoor dining area showcases the rustic yet streamlined bar and open kitchen. 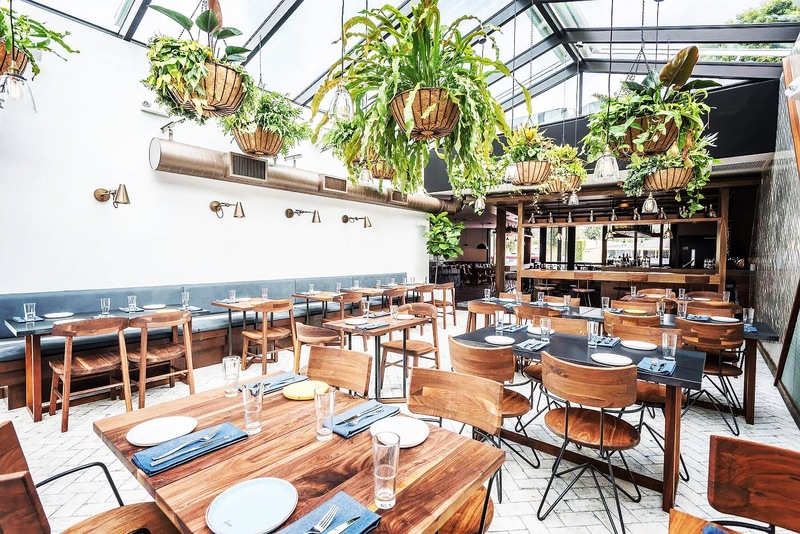 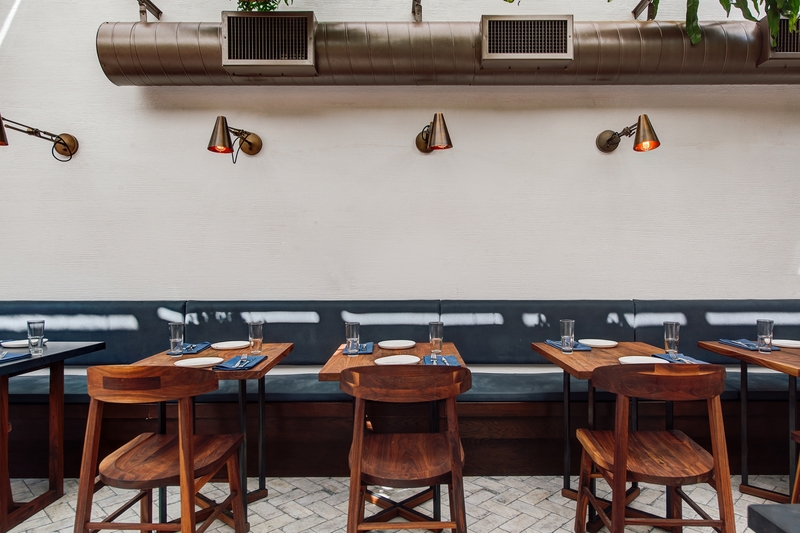 Where Comme Ça once stood, Rosaliné’s modern and comfortable atmosphere is accentuated by the abundance of natural light, wooden beams and fixtures, and the hanging green foliage of the enclosed outdoor dining area.